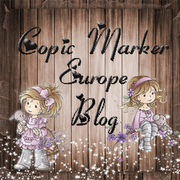 The second challenge over at Stampin' for the weeked is to use a digi stamp on the card. 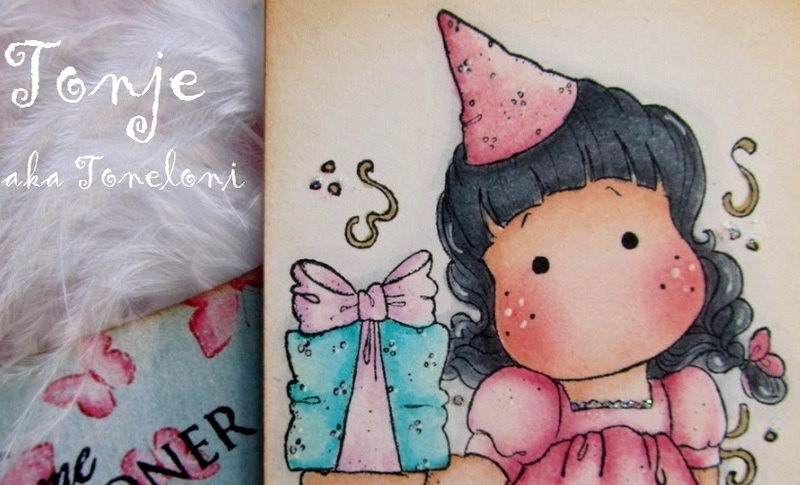 Be sure to visit the blog and look at all the fab cards all the talented ladies have made! 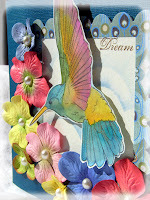 I found a gorgouse hummingbird that I coloured whit Distress Ink, H2O and GlimmerMist. I've used Prima flowers, Bazzill, Marackech paper and GlimmerMist. 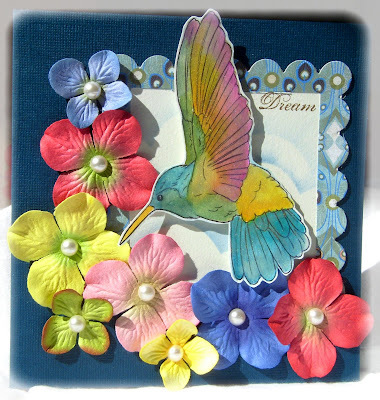 A Stunning card Tonje, you've colored this hummingbird perfectly, with all the colors in it, and I love your skies background you've done, looks marvelous and so gentle. All the flowers and pearls are really a beautiful touch to the card. 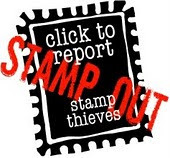 Thank you for participating in the "Stampin' for the Weekend" challenge again this week..
Good luck and we hope you'll continue to join in on the challenges on a weekly basis. Have a fabulous weekend. Skjønt hvordan du har satt blomstene og den flotte kolibrien. Virkelig Skjønt!! Nydelig Tonje:O) Herlig sammensetting av blomster og nydelig fargelagt kolibri. Wow your hummingbird is so beautifully coloured and definitely takes centre stage Tonje and your flowers are such a pretty detail. Thank you for joining us again at "Stampin´for the Weekend" and we hope you will play along with us next week too. Wow Tonje this is beautifull! I love the image and the way you have coloured it is fabulous. it sparkles like it would in real life. Tonje - What a stunning bird! I love all those colours! Brilliant lay out and I love the skies just behind him. The flowers are gorgeous! Thank you for joining us again this week at SftW. You've created a stunning effect with your inks and glimmer mists, all the colourful flowers are just beautiful. Thanks for joining the SFTW challenge again this week.